As a dedicated 19-year employee at Aflac, newlywed Jamie Landers was determined to take life by the reins and rebuild. Her previous marriage left her emotionally and financially drained and somewhat afraid to become homeowner again since she had lost a home to foreclosure five years from that marriage. “I have to admit, I was scared – of foreclosure, getting my credit restored, getting out of my current situation and having to deal with the circumstances,” Jamie shared. 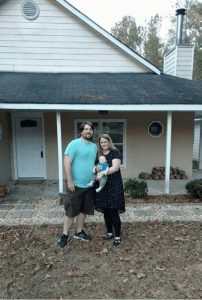 Armed with perseverance, budgeting skills, and an increased credit score, Jamie and her husband completed the Homebuyer Education Program and closed on their new home within a year. Nestled in Harris County, they found the perfect home for their son – a traditional ranch style home with two acres to play and great schools. 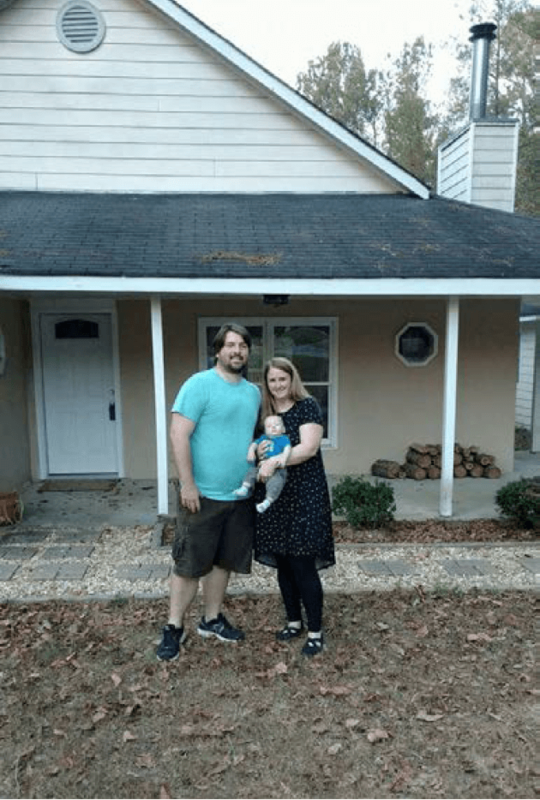 “The housing counselors were amazing, and Nonie even brought paperwork at the hospital for me to sign after I’d just given birth to my son.” As an added bonus, Jamie received $1,000 toward her home from the Aflac Downpayment Assistance Program.